Now that you have decided to leave your present job, it’s time that you frame a formal yet friendly resignation letter. Writing the resignation letter with positive approach is essential as, firstly, that you may require reference from current employer in future. Secondly, the resignation letter will be a part of your office file. And thirdly, if there are any outstanding due with the company then a friendly leaving letter will make the withdrawal work easier for you! So, in all such state of affairs it is wise if you frame a positive resignation letter for your current job profile. Besides friendly tone, it is also essential that you write an overall effective resignation letter. And for this you may follow some really excellent tips, which are outlined below in this article. 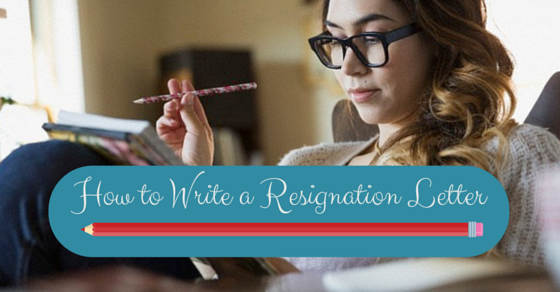 These tips can help you to write an effective and positive resignation letter with ease! Before you begin writing a resignation letter or even any other form of letter, you must be completely clear in your mind of stuff that you want to jot down in your letter. There must be lots of negative as well as positive things going in your mind while you sit down to draft a resignation letter. But it is you who has to decide that what to include and what not to include in a resignation letter. It is better if you include maximum positives about the firm as there is no point sharing the negative things when you will be no more part of the company in coming time. This is again a very crucial aspect to consider when writing a resignation letter. If you are leaving your present job due to a positive, obvious reason, like relocation or for higher studies, then you may surely define the purpose of you leaving the job. But in case, the reason is negative, like troubling boss, hectic work schedule or more, then it is wise to stay quiet. Mentioning a negative reason for leaving the job doesn’t look nice. So, depending on your reason for leaving the job, you may mention it in your resignation letter. While writing a resignation letter just try using friendly yet official tone. Just remember that you are writing a letter to inform that you are ‘quitting’ the job and that too in a friendly-formal way. So, avoid making the letter look contentious or emotional that may spoil overall elegant look of your job leaving letter. 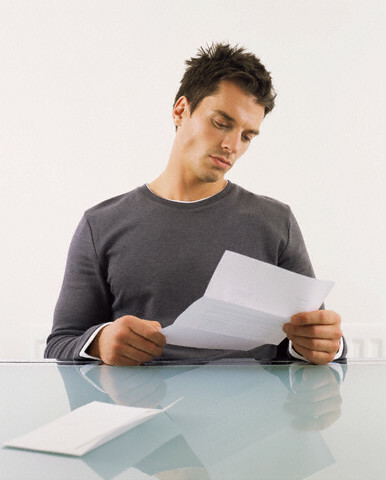 Your resignation letter must be straightforward and to the point. There is no need of mentioning lengthening reasons to why you want to leave the job, or story-tell your experience in this company. Just try to design a succinct letter for the company to make them clearly comprehend that you will be no more working for their organization. Just write a letter that is concise, sweet and up to the point. Your resignation letter must assure your employer for your full cooperation during and after the notice period. You must include your contact details along with a note that you will be happy to help the company even after leaving. In case the company asks you to give training to your replacement then you must transfer your knowledge beforehand thereby showing your kind gesture towards the company. This way you are only going to leave a kind and sincere impression over your employers and supervisors. You are leaving the company, this is true! But that doesn’t mean that you act so kind of try forgetting your remaining benefits or perks from the company. Investigate about your remaining due salary as well as other benefits that the company provides to its employee such as pensions, incentives, pay leaves or more. Calculate the entire amount and ask for the company to release it as soon as possible. You can write about it in one or two sweet sentence in your resignation letter to make sure you don’t leave out benefits that are subject to you only. The resignation letter will form a part of your career life and you may even come across to same employees or HR managers in your future period. So, for all these and more such obvious reasons, avoid using any sort of negativity in your letter. Construct positive sentences, combine meaningful, respectful words and use good quality language in order to create a letter that can cause no harm to you in present and future. Even if you are leaving the present company because of some unpleasant reasons, still you should avoid using harsh words in your resignation letter. Instead, it is better if you show gratitude towards your immediate supervisor or other preferred senior personnel for grabbing new position owing to experience you have gained from them. You can illustrate about achievements that you have gained due to their support in your resignation letter in one-liner in order to show your gratitude and respect for them. You were fruitfully working for the company, but you are leaving the job due to other unpleasing reason! If this is the case then you must surely outline your accomplishments and achievements in the resignation letter but in elegant and polite manner. There are chances that your present employer may share your resigning letter with your future employer. In such case, you must list out all your major achievements but without actually boasting about yourself. Don’t try to be too self obsessive! Even if you hate your present job and leaving it for same reason, still no need to say about it in your resigning letter. Don’t show your anger, hatred or other such emotion in your letter. Just stay calm while writing the letter and make sure to include only vital basic points in it. Try to use some really good compliments to your seniors or higher professionals of the company. This will make them remember you for all good reasons. Complimenting them may even develop a positive image of yours in front of them that may benefit you more if you are working in other company of same industry. Make it a point that you inform clearly that you are not open to counteroffers. You can state this in clear, pleasing manner. Moreover, if your company requires serving notice period of 2 weeks and then you must give your resignation letter two weeks in advance. In case the notice period is 4 weeks then it is obvious to provide your resignation letter 4 weeks in advance of your leaving date. Once you inform the company that you are leaving the job, then your plan to leave becomes more important than why you want to leave. 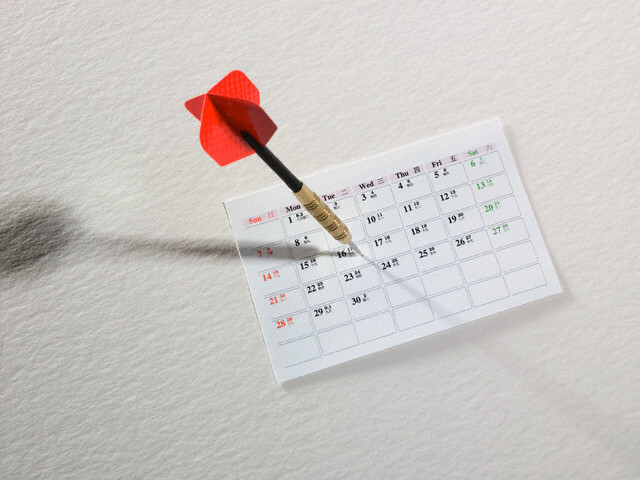 So, it is essential that you clearly mention you’re leaving date in the resignation letter. This will not only help HR personnel to plan your departure perfectly, but will also serve you and company to clear all your accounts and go for true closure process in a respectful manner. No matter how friendly you were with your senior professionals, or how personally you know your company’s HR, just remember that this a professional job that you are going to leave. So, grab that perfect professional approach while writing the resignation letter in order to jot down every point of your mind in clear, friendly and professional manner. Now that you are clear of what all information is to be included the other most crucial aspect to remember while writing a resignation letter, is its format. Not only writing good and clear stuff is important, but equally imperative is to compile all information in systematic and impressive format. In case you don’t know exact format of writing a resigning letter then in such situation, you can take help of your close professional friends or search online to look for appropriate format of the letter. 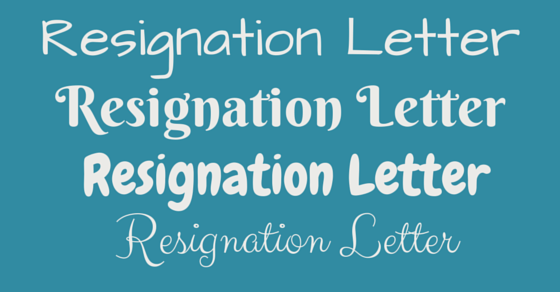 No matter which way you do, just be sure that you write the resignation letter in proper formatted manner! This does not mean that you have to beautify your resignation letter with colored pens or with distinct images; it rather implies that you must delineate the letter with use of impressive words. Even if you don’t have flair of writing, you need not worry as all you are required to do is write down basics of you leaving the job and in proper formatted manner. Just use good words, include all information that is required, write down both appreciations and achievements and compile them in nice manner to make the letter appear neat, concise and elegant. Even if you hate this job, that doesn’t mean that you didn’t gained anything from it. A bitter job experience may knowledge you in one or other way! So, try all that you have gained and write it in probably one or two beautiful sentences. This will not only impress your subordinates and seniors but will add more positivity to your resignation letter. Once you are finished with work of writing a positive and concise resignation letter, there is one more task remaining prior to enclosing it in an envelope. You must always proof read well your letter personally, before submitting it. This is required even if you are a master of writing. This is because there might be some errors or you might have infused any information which is not at all required. Presence of any such errors can not only create more questions to you but can also generate your negative impression over the company. 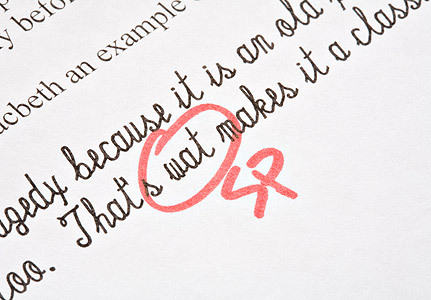 So proof read your letter once or twice to be sure about content that you have jotted. This is surely an essential tip to follow whenever you are writing any kind of professional or formal letter. Using a good quality paper while writing formal letters not only enhances your over all writing work but also helps in generating a positive image over the reader. So, even if you are leaving this job, you should still make use of quality words along with quality paper to create lasting, positive impression over the readers. Even if you are leaving this job, still it is wise if you tend to create a positive lasting impression over all those who will go through your resignation letter. An effective resignation letter has the same power of creating an impression over others as that is possessed by a well-written cover letter. So, you can make use of high quality, error free and impressive usage of your preferred language so as to leave the company with due pride. Remember you are writing the resignation letter to inform the company that you are leaving this job. This is in fact most simplest and preferred formal way to do so. But this letter is not for your complaints. So, don’t write any kind of issue or complain that you might have against the company. You are a professional, Right! But still there are chances that you may end up making few spelling errors or grammar mistakes while jotting down the resignation letter. No need to worry, as this may happen with anyone! All you need to do is to check your letter for all such mistakes or best way is that you can avoid making all such mistakes by writing with due caution. Just try to draft a letter which has good usage of language, precise and looks neat and clean. Last but not the least, since this might be your last letter for the company so now you can end up being diplomatic. No need of diplomacy here, as this can end up entire situation ending with confusion. So, just be straight to the point and make sure to include positives without overdoing it in order to have an effective resignation letter in your hand. Not being diplomatic will help you to avoid making stupid mistakes that most individuals do while writing their last letter to the company. Just like any other vital formal letter, even it is essential that you sign your resignation letter and keep at least two copies of it with you. Keeping copies of the letter is essential as you might need it in future time. Your resignation letter is for the company and not for any particular individual. So, just don’t write name of any other person in your letter except yours. You have to address your letter to the company and sign below in order to dissolve the contract which was signed between you and the company. This resignation letter is meant to describe about your experience, achievements and information of you leaving your present job. There is no need to provide any kind of information about your new company or your new job profile. It is better that you go for a printed letter, rather than writing it with a pen. This will make your letter appear clean and will even help you to draft it in a particular, correct format. If you opt for a printed resignation letter then it is very much obvious and required that you use same size font throughout the letter. There is no need of highlighting anything or using different kinds of writing styles. Just draft a simple, positively written letter in single font and single writing style. Finally, after completing introduction and body of your letter comes the ending part. Just follow same polite and positive attitude to write the end note. You must end the letter on warm, friendly note like ‘Best Wishes for Never Ending Success’ or ‘Warm Personal Regards’ and more in order to show your respect towards time span that you have spent in the company. Last but not the least, if you are leaving because of troubling company policies, then still do not mention it in your resignation letter. Every company has some pros and cons. In case you do not agree with company’s norms then your decision of leaving the job is correct. But make sure that you don’t show your anger towards the company on your resignation letter. So, with so many fruitful tips, you will surely be able to write an effective resignation letter that clearly showcases your positive attitude towards the company, even when you are leaving it. Once you have completed writing and proof reading the letter, you may then seal it in a neat envelope and pass it to the concerned person. After this just remember one thing, you now have to plan for you awaited new job position so that you can again gain some knowledge and experience along with lots of monetary income! Hahaha… I just got the job and definitely not planing on writing this at the moment but maybe in future…… who knows? 🙂 anyways, Thanks for the post!